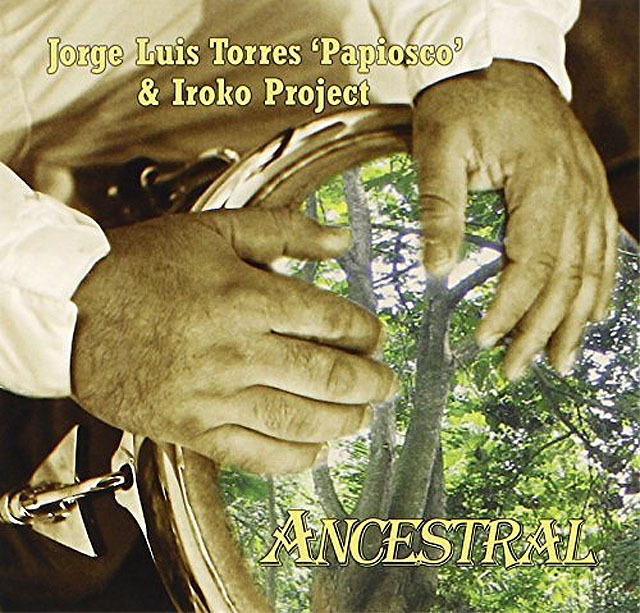 It seems both significant and appropriate that the eminent rumbero, Jorge Luis Torres Paumier “Papiosco” should choose the iconic “Iroko” tree as the title for his maiden project as leader. It is, after all more than a mere “African hardwood” from the forests of Ouidah, Benin. The Iroko is sacred to the Yoruba people; an Orisha related to the wishes and here is where it becomes both auspicious and iconic. For when Papiosco was an elegant child of 10 years, his mentor Tata Güines introduced him at the Karl Marx Theatre in Havana as the musician chosen to be his successor—a rare privilege from the elder and legendary rumbero indeed. Though “Papiosco” fulfilled the promise a long time ago—through “Cubanismo” and through Pablo Milanés, Omara Portuondo and Chucho Valdés and then in Canada with various ensembles especially with Jane Bunnett and the Spirits of Havana—his next big moment had to wait until now, when he has finally undertaken his maiden voyage with his Iroko Project and Ancestral, an homage to years past echoing with homage to those gone by—musicians and dear ones. Here he also has to good fortune to work with trumpeter and producer extraordinaire, Larry Cramer and a truly gifted musical director: the bassist, Roberto Riverón Mederos. Gone are the slender hands of the 10-year-old; “Papiosco’s” fully-grown hands are now large and well-seasoned by years of beating the skin of the congas. But he still elicits exquisite sounds from the massive set of African oriented drums as well as the timbales and the bongos. There are times when he seems merely to brush his fingers across the congas as if caressing the taut skin of a woman, full of love and sensuality. At other times there are echoes of his great “ancestor” and mentor, the great Tata Güines as the younger man, with cupped hands makes notes shudder and thump elegantly; or he might scratch the skins, or slap them and rap on them with rapidly thrumming fingers. At every turn, something new and exciting is always unfolding; tumbling as if from a seemingly great mountainous height from where the Iroko is venerated, ever cognizant of the rumberos who went ahead of him to Valhalla. “Papiosco’s” drumming is highly emotional too. Every glancing blow of conga or bongo comes from the deepest recesses of his heart as he pays homage to the Orishas from the land of his birth as if urging them to consider the musician’s every wish. The music on this recording harks to the various dimensions of this worshipful aspect of music while sounding chords of joy as well. These charts feature many forms of music—both generated by sketches that bloom into the elaborate Descarga, some of which—like “Timbaloque” on which “Papiosco” plays a battery of percussion—feature the main protagonist, while others shine the spotlight on other members of the ensemble. “New Latin” is one such chart. Composed by the Cuban-born trumpeter, Alexander Brown, this chart intertwines between an intricate rhythmic pattern and an interesting melody introduced by Yosvany Castañeda Valdés underscored by an ostinato figure that grows into a beautifully improvised piano sojourn by the inimitable Hilario Durán that leads eventually into a damask invention played exquisitely on soprano saxophone by Jane Bunnett. Then there is “Broken Steps” another exciting composition, this time by bassist and musical director Roberto Riverón, a wonderfully mellifluous chart that blends spiritual synthesizers with earthy African-Cuban percussion, sewn together, again, with Ms. Bunnett’s gorgeous flute. Also worthy of note is “Ancestral,” an extraordinary piece of music that is scored in the chopped rhythmic patterns of Thelonious Monk, that Giant of Music who continues to bestride the world like the proverbial colossus. The sequence that features the percussionist striking his way askance, as Hilario Durán traverses an equally jagged part of the score that brings the music to a wonderfully colourful close. The vocalist, Alberto Alberto’s swaggering guaguancó, “Easy Come, Easy Go” adds the choral element to this superb album from a percussionist whose time has come… Finally. It must be mentioned that the recording is extraordinarily produced and owes much of its character to the stellar group of musicians who are featured at various points in the production, adding to its timeless beauty. Track Listing: Timbaloque; Siluetas; El Jamaiquino; From Guantánamo to Toronto; New Latin; Ancestral; Broken Steps; Easy Come, Easy Go. Personnel: Jorge Luis Torres Paumier ‘Papiosco’: congas, timbales, quinto, chéquere, clave, bongos, guïro, bell; Roberto Riverón Mederos: acoustic bass, keyboards (7); Jorge Betancourt Valero: acoustic piano; Yosvany Castañeda Valdés: violin, lead vocals (3), chorus (3, 8); Reimundo Sosa Reinoldes: bonkoenchemilla drum (6), Batá drums (7, 8). 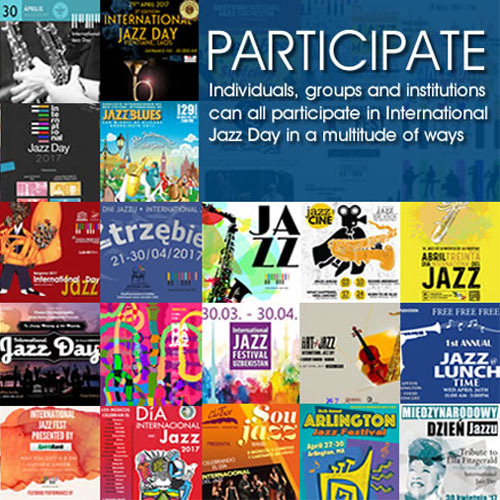 Special Guests: Elmer Ferrer: acoustic guitar (2); Jorge Emilio Maza Valdés: flute (2); Alberto Alberto Pino: lead vocals (8), chorus (3, 8); Pablosky Rosales: tres guitar (4); Alexander Brown: trumpet (5); Jane Bunnett: soprano saxophone (5, 8), flute (7); Hilario Durán: acoustic piano (5, 7); Amhed Mitchel: timbales with drum (7); Bill King: Hammond B3 organ (8).